If you are a parent with a young child, you will definitely agree on how it is a great struggle to nudge your child to brush their teeth. Most children failed to understand the significance of good dental hygiene as they see it as an unnecessary waste of time that could have been spent on more important things like playing or sleeping. However, with a good explanation and the right parental techniques, you can entice your children to take care of their teeth even without your constant nagging for them to do so. Here are some ways recommended by a dentist. As soon as your baby grows a tooth, you should make it a habit to clean it by wiping with a soft cloth. 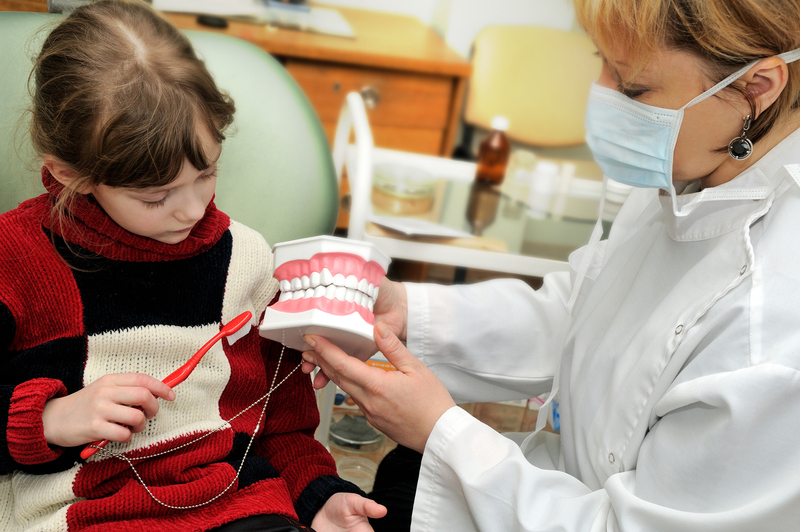 Even when your child does have the necessary motor skills yet, they will certainly remember the feeling of having their teeth cleaned for them. As they grow a little older, you can buy a soft bristle brush for them to personally use. Those that can remember the sensation of having their teeth cleaned early in life will be far more accepting in their role of doing the most basic dental hygiene habit of brushing, even when not told to do so. It is no secret that kids tend to imitate whatever activity they saw their parent doing. Brushing your teeth together with your child will certainly encourage them to do it cheerfully and without complaint. You can try making brushing and flossing your teeth as a quality family bonding time that your child can fondly remember even when they are old enough to do it alone. Most of the time, parents overlook the simple fact that kids are not fond of spicy, minty things – which is what most branded toothpastes taste like. Get them their own special toothpaste with a flavor of their choice. You can even have some fun time in helping your child choose which one they would like to try. The only thing you need to be wary of is the tendency of kids to swallow the toothpaste when they like the taste. If this is the case, make sure that you have chosen a children’s toothpaste that is fluoride-free so you won’t have to worry about your child ingesting it. Brushing their teeth is just a part of keeping your child’s teeth healthy. Remember to schedule an appointment with a dentist in Maryville, TN and make dental visits a family affair.